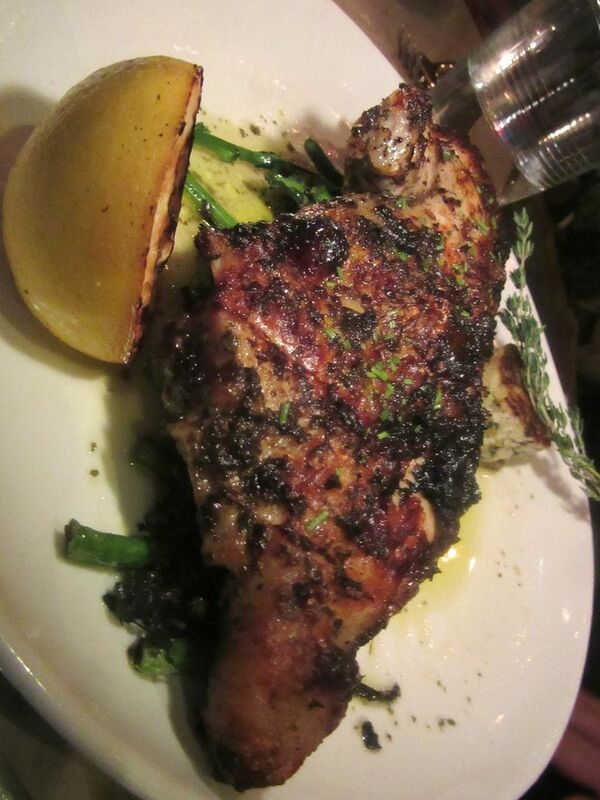 I can’t count how many times I’ve had Laurent Tourondel’s lemony oven-roasted chicken since June. First, a confession. I must admit my love affair with L’Amico has made it harder to fall for just any pom, duck, and berry. Maybe I’m just imagining everything is so good. It was July when I first discovered The Vine, a wine bar in the rear of the Eventi Hotel on Sixth Avenue. It was there that chef Laurent Tourondel was secretly testing ideas for what would be the menu at L’Amico, the restaurant he planned to open after Labor Day. I went every Saturday all summer and made everyone share a blistered pizza or two and, inevitably, the fritto misto of calamari and shrimp with fried herbs and lemon wheels. 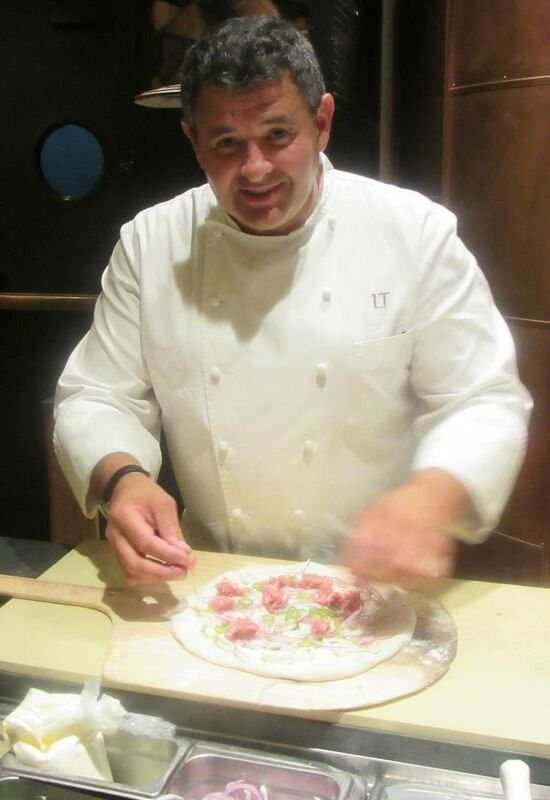 Before opening L’Amico in September, the chef sent pizza from l’Amico’s ovens to The Vine. For years the French-born Laurent had wanted to cook Italian. And L’Amico would be it. I was already hooked on deeply flavorsome pizzas, the garlic knots, the veal and pork meatballs al forno with house-made bread oozing garlic, the pipe rigati pasta with veal shoulder Bolognese. No polite, proper, everyday well-cooked chicken could compare to the dramatically lemony bird emerging from one of his two wood-burning ovens. Of course the marinated skirt steak would be perfect. Tourondel is the BLT Steak Guy, after all. I never leave L’Amico without sharing at least one dancing duo of just-made gelati or sorbetto. 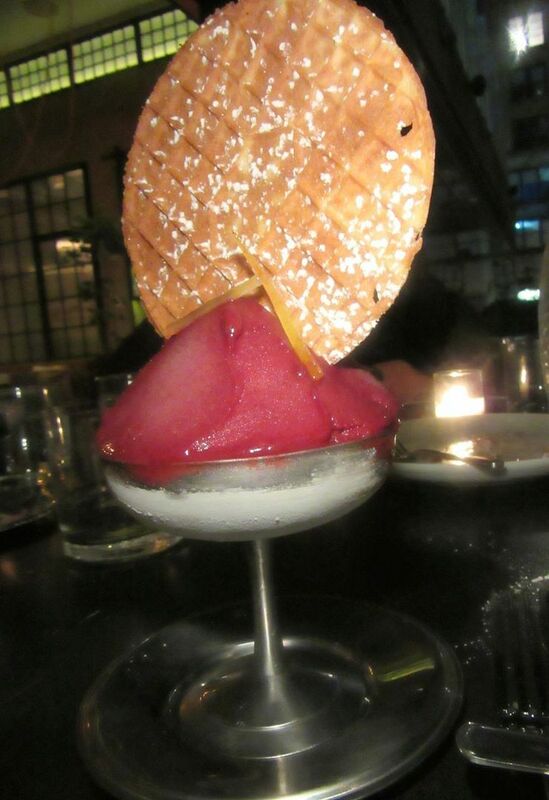 And when it comes to pastry chef Xavier Goiz’s rendition of Laurent’s gelato dream, I must seem gaga. I insist everyone I take (or who takes me) to L’Amico join me in tasting one, if not two, of what I call the dancing lady duos – a neat little hill of just-made pistachio with orange marmalade and chocolate-gianduja or black cherry amaretto piled half-and-half into a footed metal goblet and delivered wearing a just-baked pastry crisp like a sunhat. Already melting. With a classic ice cream shovel Laurent imported from Italy. Please don’t tell me about your diet. 849 Sixth Avenue between 29th and 30th streets. After all that mea culpa, I am now going to try to choose the OTHER best dishes I’ve eaten this year, listed in no special order. In some cases, I won’t be able to choose just one dish, or even two. But you must be aware of this frailty if you’ve been reading my musings for a while. 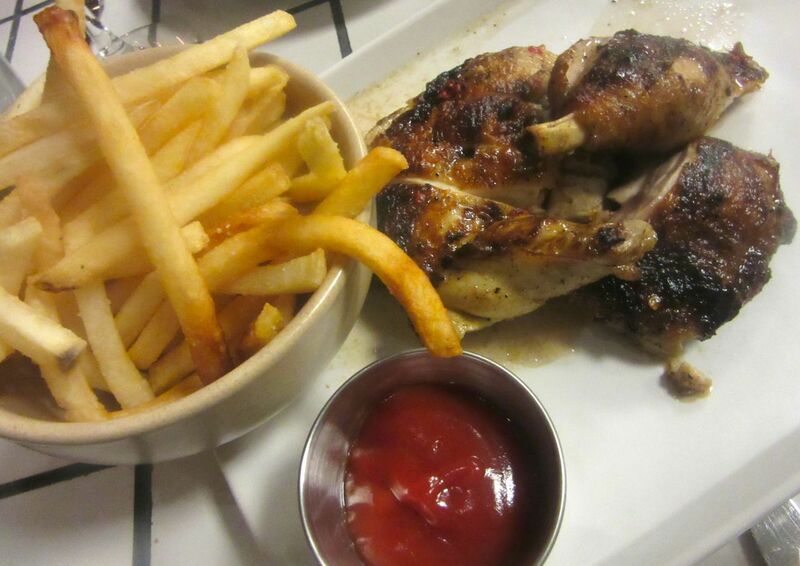 George Mendes uses his mother’s marinade on Lupulo’s marvelous grilled chicken with piri piri saice. I will actually cite another favorite chicken: George Mendes’ chicken piri piri charred over the embers at Lupulo, where only an occasional companion is brave enough to join me in a swig of its high voltage piri piri sauce. 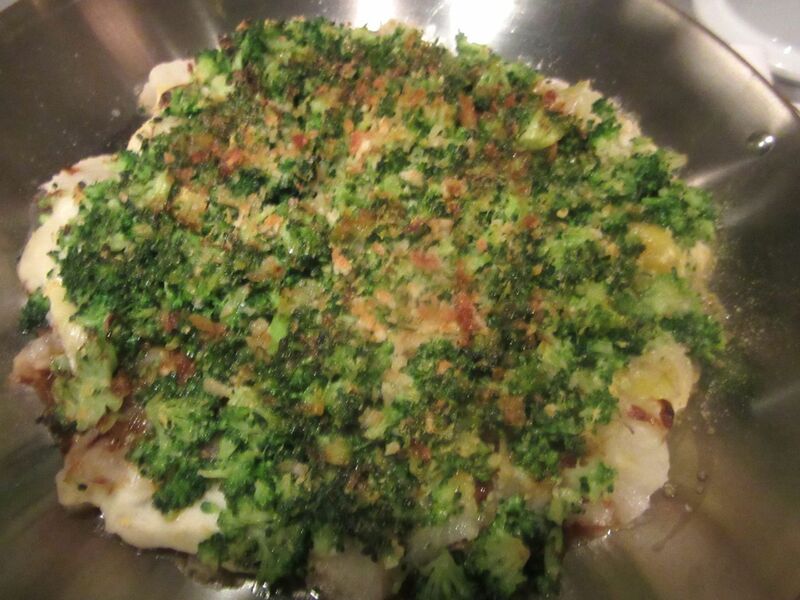 Mendes uses his Portuguese mother’s marinade. “Vinho verde -- a spritzy white wine -- with olive oil. Paprika, sliced onions, garlic, and bay leaf.” It comes with very good fries. 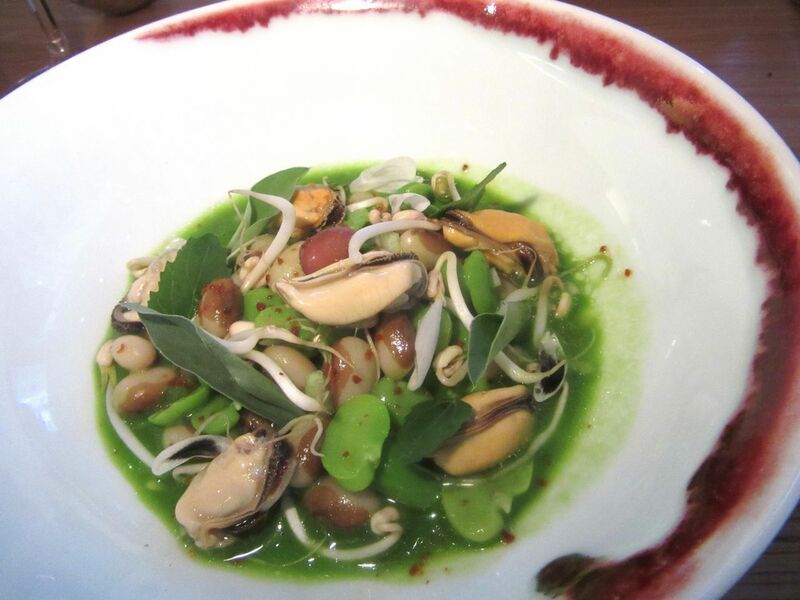 All summer, favas tossed with blood sausage and morels was another don’t-miss (although the green and yellow beans that replaced the favas two weeks ago -- Mendes was nowhere in sight -- were shockingly undercooked and, of course, morels won’t reemerge for a while). 835 Sixth Avenue corner of 29th Street. Vaucluse’s kitchen lives up to Michael White’s demands again and again, but I love this root crumble. The generous side of leek, turnip and broccoli gratin at Vaucluse, where Michael White, aka Chef Bianco, detours from his Italian odyssey to cook French, is reason enough to order Duck à l’Orange for two. Here the bread is all baked below, butter churned in house. Lemon peels are branded with a “V.” Order the excellent “White Label Burger,” an aged blend of brisket and short rib under a melt of fontina in a house-baked roll with tomato jam, and you’ll get to taste the unique, not-at-all-crisp but thrillingly good French fries. 100 East 63rd Street between Park and Lexington avenues. 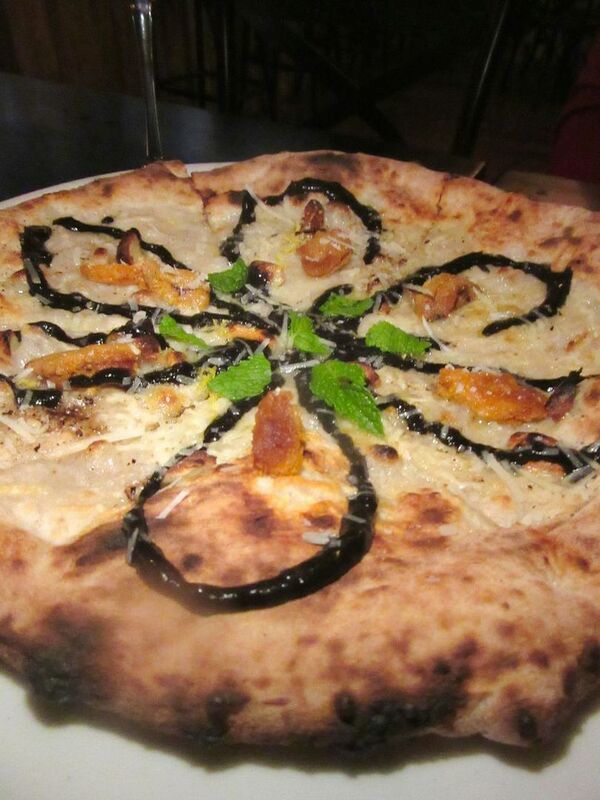 I’m wild about L’Amico’s pizzas, but Martas thin and charred Roman pies are still my favorites. As wild as I am for L’Amico’s pizza, I discovered my favorite this year at Marta. Chef-owner Nick Anderer’s pizza is blackened too, but thin and crisp, curling along the edge, Roman-style. Marta’s patate alla carbonara pie, layering chunks of cured pork jowl, black pepper, pecorino, and egg on sliced potatoes, is wonderfully over-the-top -- a must for me. But the menu is much more ambitious. Share sausages or ribs barbecued on the grill. 29 East 29th Street between Madison and Park avenues in the Martha Washington Hotel. Timna’s kitchen has many surprises, but this perfectly cooked octopus was my favorite. There is a parade of unique pleasures at Timna, starting with soft, sweet bread baked in a terra cotta pot with labane alongside. 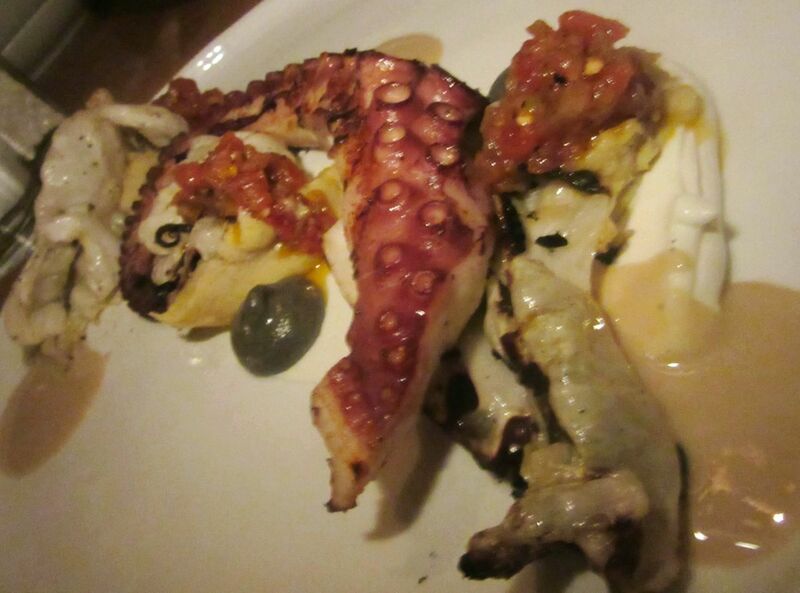 The remarkably tender and smartly tricked-out octopus cured me of a recent attack of indifference-to-octopus. 109 St. Marks Place between First and Avenue A. This intense green roasted garlic barley risotto was the best dish at my recent Bâtard outing. I was sulking because Bâtard chef-partner Markus Glocker had dropped the extraordinary lamb for two that was New York’s best dish of the year in 2014 (and not only on my list). Cheerleader partner Drew Nieporent severely scolded me for not appreciating the chef’s obsession with evolving the menu. I returned a few weeks ago and ordered the Mangalista pork for two with its promise of loin, cheeks, ‘nduja sausage, Brussels sprouts, and smoked lentils. It had a grandmother aura a bit like the lamb, though not as stunning. 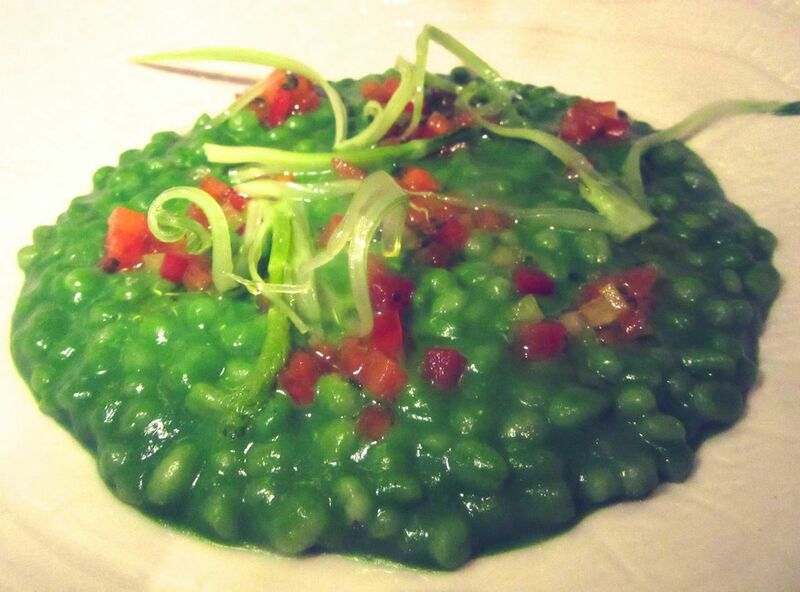 My favorite dish that evening was the barley risotto with roasted green garlic and mignonette. 239 West Broadway between White and Walker streets. 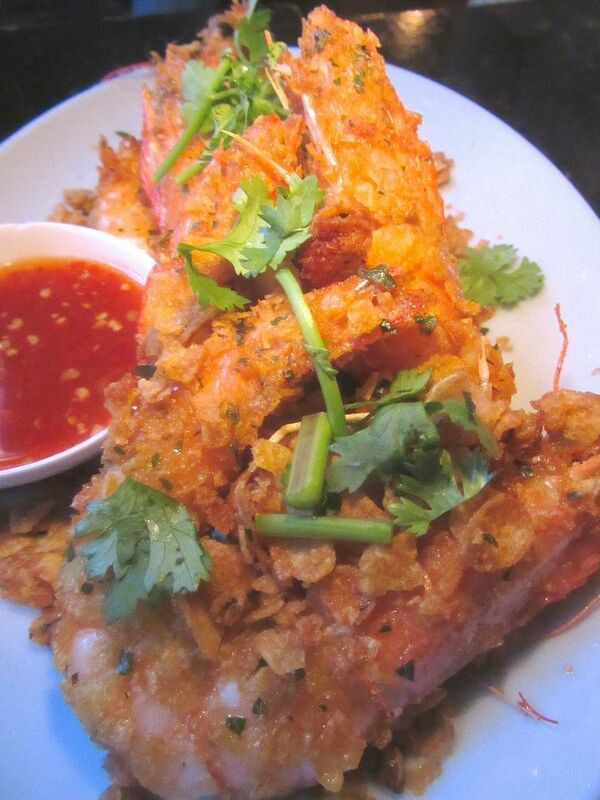 Simpson Wong’s send out heads-on prawns coated with cereal chip at Chomp Chomp. A Malaysian pal took over the ordering at Simpson Wong’s Chomp Chomp, a homage to Singapore hawker food. Our mouths were soon radiating from the pungent shrimp paste of the fried chicken wings with Chinese celery. I can’t really choose a favorite – perhaps crunchy cereal prawns meant to drag through a homemade chili sauce or “carrot cake.” It’s not carrot at all, but fried daikon cake with shrimp, Chinese sausage, and chive. I can’t imagine a return chomp without both.7 Cornelia Street between West 4th and Bleecker streets. 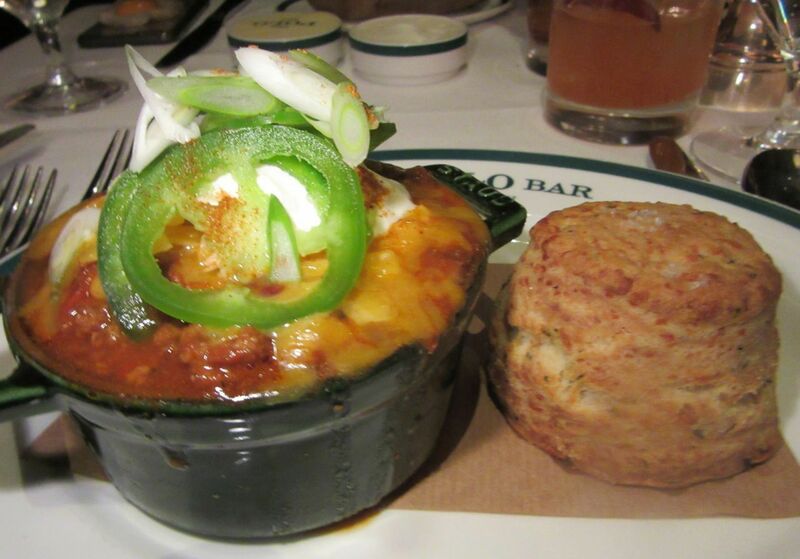 All summer I missed the chile with pecorino biscuit from Polo Bar’s winter menu. Ralph Lauren’s Polo Bar fantasy amuses me. The light is wondrously cosmetic. The Lauren-dressed staff can’t stop saying “good evening,” “yes,” “thank you,” and “hurry back.” So far, I seem to be able to score a table (early in the evening, blizzards, and summer weekends are recommended for walk-ins). All summer, I missed my favorite dish, the ranch house chili with a pecorino biscuit. But like Ralph, I have a weakness for corned beef on rye with mustard and a side of coleslaw. I will probably never pay $200 for the double bone-in rib-eye for two from Ralph’s Colorado ranch, but I’ll make dinner of a shared wedge and a burger, with the kitchen’s surprisingly good frites. 1 East 55th Street between Fifth and Madison avenues. I could easily pick half a dozen great dishes at Clocktower, but I’ll single out the duck for good looks. You might not expect the food at Clocktower in Ian Shrager’s Edition Hotel to be this good. But that’s as lame as expecting a gorgeous blonde to be dumb. Yes, the Rockwell design is dramatic. The photographic collections are very grand. The pool table is purple. The crew has that original Royalton look. And chef Jason Atherton comes from London, blazing Michelin stars. Forget these prejudices. Start with luscious Alaskan king crab with dashi gelee or dressed crab with crispy uni, apple batons, and lemon puree. 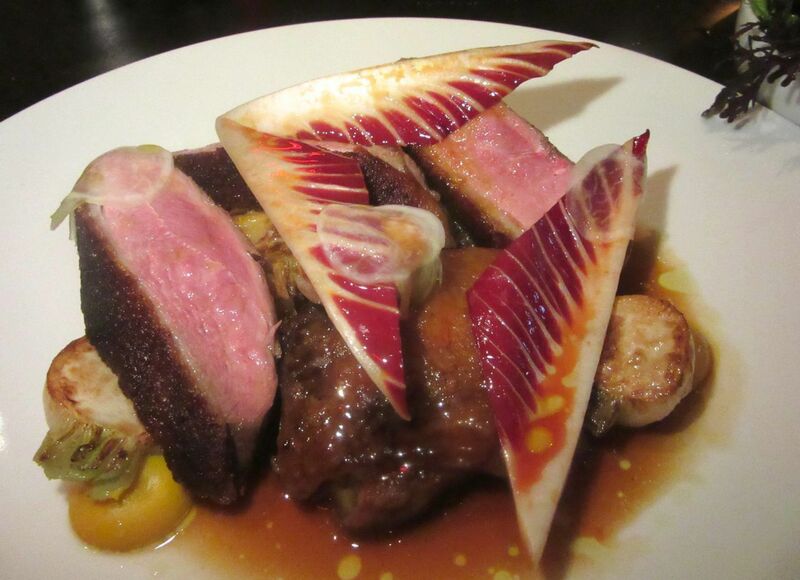 Share the rare duck à l’orange flying flags of fennel and endive, or the remarkable bone-in, 40-day dry-aged 20 oz. strip with Béarnaise sauce. 5 Madison Avenue, entrance on 24th Street, 2nd floor. In many dinner jaunts to The Cecil, I never miss the mac ‘n’cheese -- but these ribs were my favorite. Does J.J. Johnson at The Cecil turn out my favorite macaroni and cheese? Yes, if only it didn’t keep shifting in size from generous to chintzy and back when he knows I’m in the house. 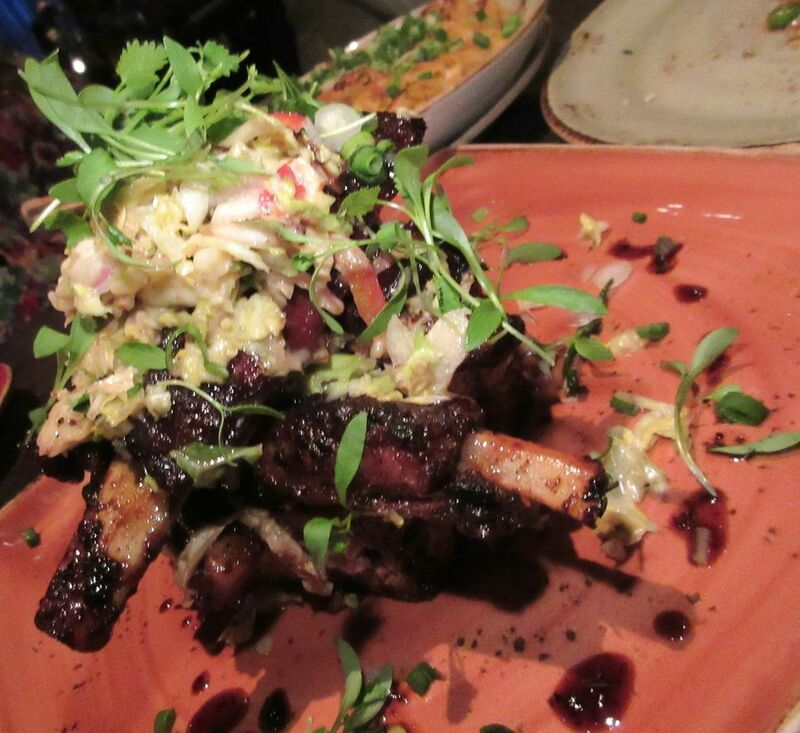 Recently the menu got a major makeover and some dishes emerged with more ingredients than necessary, but even overdressed, the grilled hibiscus St. Louis ribs with blue cornmeal haunt me. 210 West 118th Street on the NW corner of St. Nicholas Avenue. 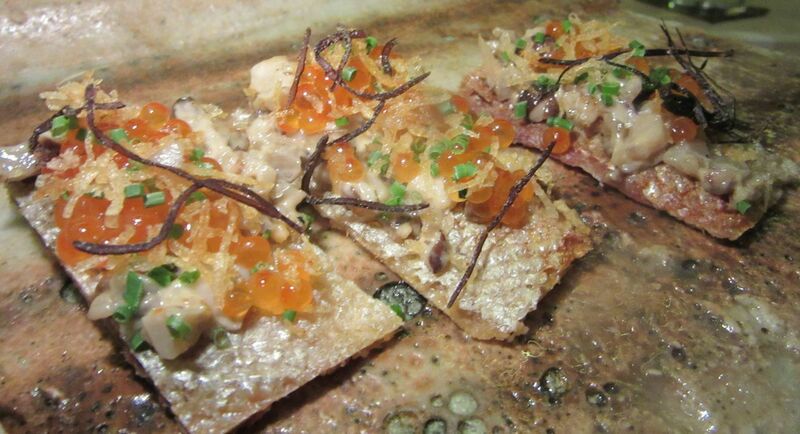 Shuko has half a dozen standout texture thrills: This is the trout on trout skin with trout eggs. A thick cut of Tasmanian sea trout in a soupy mix of trout roe, ponzu, and grated raw nagaimo stands out from the Kaiseki opening at Shuko. Trout and trout roe on crisp trout skin with a few grains of seaweed salt is another genius whim I remember. I’m not sure what was in my cognac cocktail but that -- and the sideshow of watching Jimmy Lau organizing beds of Santa Barbara sea urchin -- definitely turned up my sensory focus. 47 East 12th Street between University and Broadway. 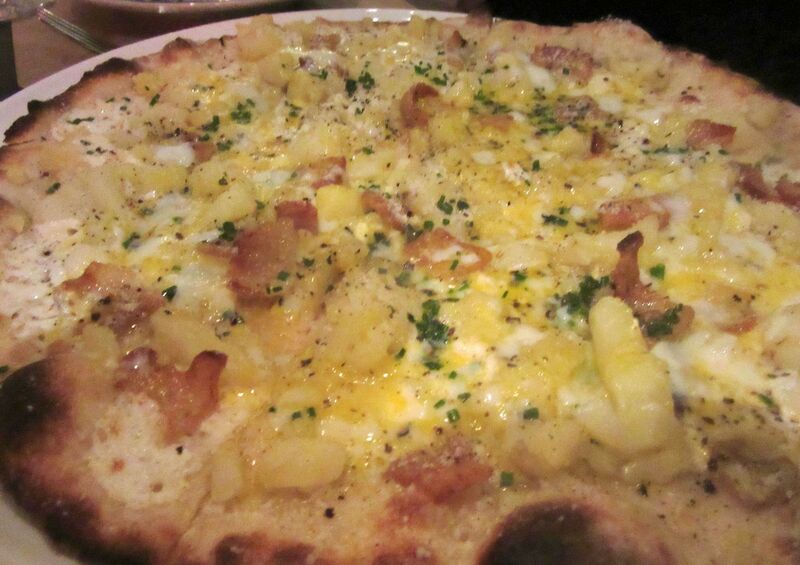 I didn’t expect to like Prova’s Neapolitan pizza, but I said “crisp please” and found the uni pie thrilling. I’m not a fan of typically soft and soggy Neapolitan pizza, but I stopped by to hear the obsessive somersaults my uber-Neapolitan friend, wine dealer Mauritzio Darosa, had dedicated to Prova, a partnership with Donatella Arpaia and a couple of pizza professionals. “Ninety seconds to Naples.” Then, I returned when he’d gone back on the road and ordered the squid ink pie on a melt of Pecorino Romano with sea urchin, “extra crispy, please” -- and that was definitely a high point of 2015. (Of course, you don’t really need bread when pizza is primary, but Prova makes its own crusty round and slices it à la minute. If you’re a bread maniac like me, don’t even try to avoid it.) 184 Eighth Avenue between 19th and 20th streets. Who could have guessed that homely little sun chokes could be ethereal? At Little Park they were. No need to be a vegetarian to fall for Andrew Carmellini’s veggie-forward improvisations at Little Park: roots, bulbs, and leaves. The cheese-laced beet risotto is a recognized triumph. 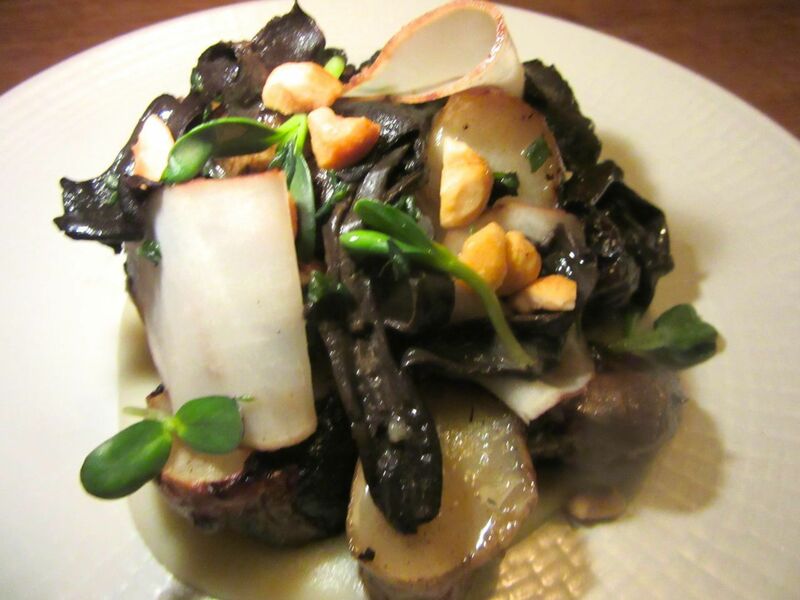 But the dish of sunchokes and black trumpet mushrooms with hazelnuts on a creamy purée is so compelling and unique, I ordered a second. 85 West Broadway on the SE corner of Chambers. 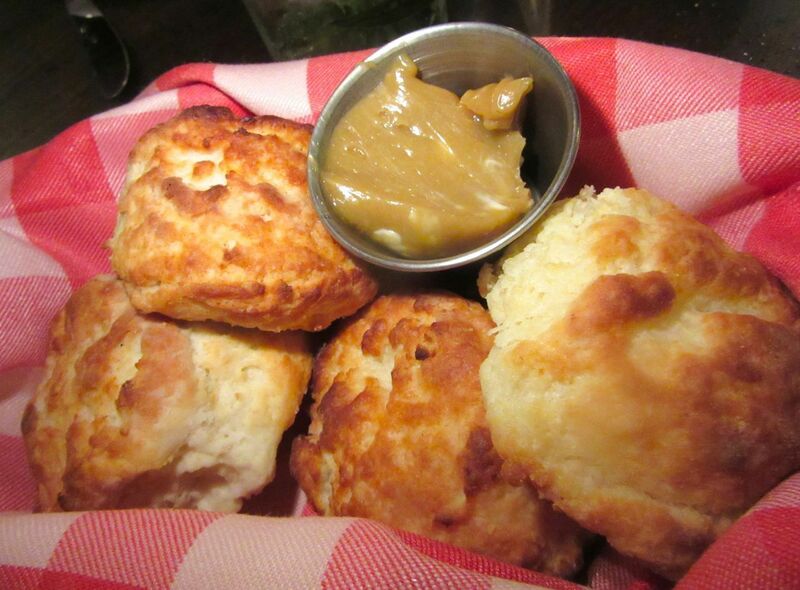 Are their better biscuits than Carlos Swepson’s at BLVD Bistro’s? I find that hard to imagine. If you’re serious about biscuits, you’ll want to hop on a train or pile into a cab for an interlude at Blvd Bistro that starts with cocktails and then miraculously feather-light biscuits, salty, crumbling in your fingers. Sugercane-drenched butter comes alongside, if you must. You’ll stay, of course, for shrimp and grits and fried chicken, and my other favorite macaroni and cheese with patches of bacon – creamy but not too. It’s blasted to order for eight minutes in a 500-degree oven. That’s what makes it so crusty on top. 239 Malcolm X Boulevard (Lenox Avenue) on the SW corner of 122nd Street. 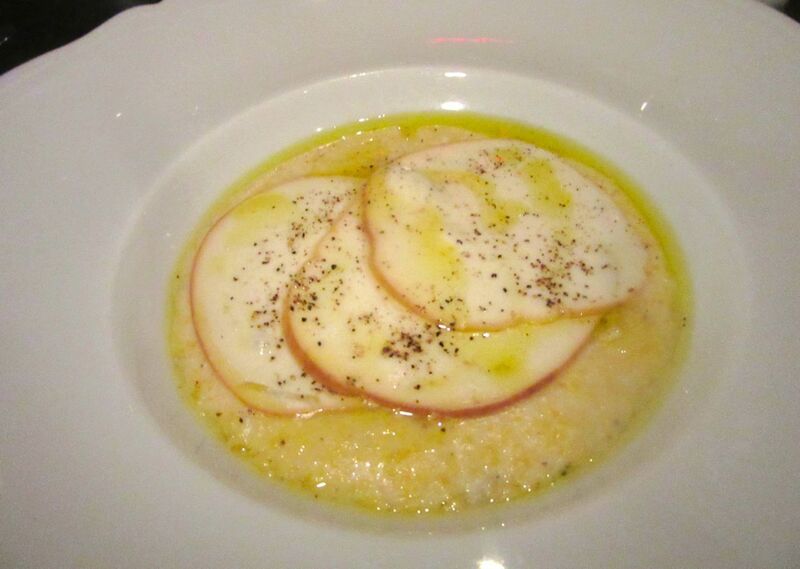 Lincoln chef Jonathan Benno’s mastery can lead to this: smoked mozzarella on fresh corn polenta. Jonathan Benno at Lincoln Ristorante is another gifted and inspired chef with a constantly changing menu. Here, it’s a three-way tie for best of the year between the chestnut pappardelle with short rib, the fresh corn polenta under a quilt of smoked buffalo mozzarella, and the roasted lamb shoulder that popped up one day at lunch on the $24 Restaurant Week special. What I would give for a repeat of his 2011 umami wizardry -- a giant sea scallop and blood sausage on lentils. Where is Michelin? 142 West 65th Street between Broadway and Amsterdam. 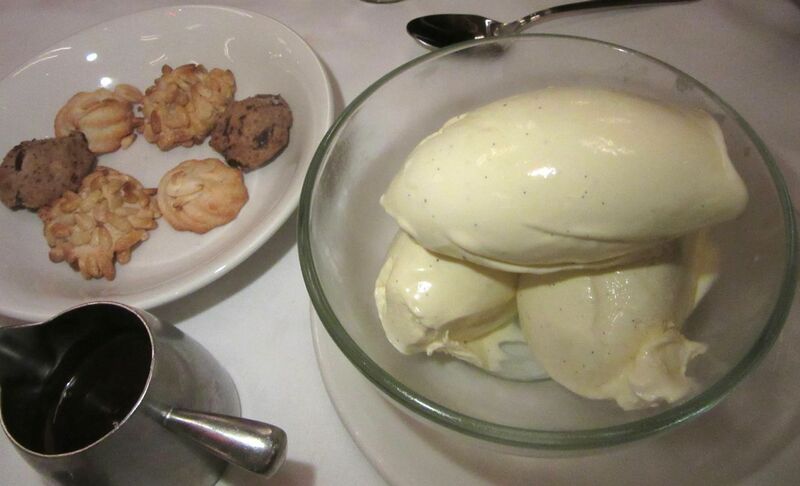 Florian’s ovals of rich vanilla ice cream, enough for the table, come with hot fudge to pour over. Florian benefits from Shelly Fireman’s obsessive genius (the Negroni almanac, spaghetti carbonara with a sunny-side-up fried egg, the fried artichoke calzone) and hijinks (bronzes of naked women with sunglasses, the osso buco lasagna). Alas, triumphs come and go. But the huge portion of vanilla ice cream, churned-to-order to serve the table, has been consistent -- insanely rich and smooth -- with a pitcher of hot fudge to pour on top. Ask for seconds of chocolate, if needed. 225 Park Avenue South between 19th and 20th streets. Chef Michael Anthony brings Gramercy Tavern elegance to mussels at Untitled in the new Whitney. One of my critic sidekicks has suggested that Gramercy Tavern chef Michael Anthony’s exquisite savories at Untitled are a universe apart from his colleague Miro Uskokovic’s mostly homey desserts. But I found two bests of the year there: Anthony’s tiny mussels marinated in white balsamic vinegar with favas and a big creamy bean called yelloweye from a farm in Cuyahoga he discovered. And the scrumptious peanut butter crunch cake, enthusiastically striped with zigzags of blueberry glaze. 99 Gansevoort Street at The Whitney Museum, between Ninth Avenue and Little West 12th, ground floor. Photos may not be used without permission of Gael Greene. Copyright 2015. All rights reserved. Click here to return to BITE listings. Follow my twitterings by clicking here. See my vintage treasures on my Etsy handbag site by clicking here.